Are you sick and tired of chess books which are full of theoretical knowledge that you never get into? Would you like to read a novel about chess which explored the gritty realism of the game? Then Playing to Win is for you. Not only chess focused, it shows how Tom grows from boyhood to manhood with help from the game. Chess is used as a metaphor for the inward and outward struggle Tom experiences. 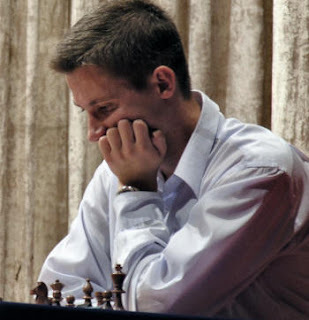 The joys and sorrows of chess are accurately portrayed by the author who has been through these emotions himself. The novel uses chess as a metaphor for inward and outward struggle. Tom, the hero, develops as a person through learning chess, eventually reaching the Grandmaster level, yet the book also deals with the challenges people have to face growing up. There's some tounge in cheek romance included. This novel performs the rare feat, seldom found in the game's literature, of accurately capturing the nature of the chess community and its struggle.